update 12/7 (continued). more photos. — Monkish Brewing Co.
two sea containers worth of equipment came in. adriana and i tried to do it ourselves, but we called in for some help from family/friends. 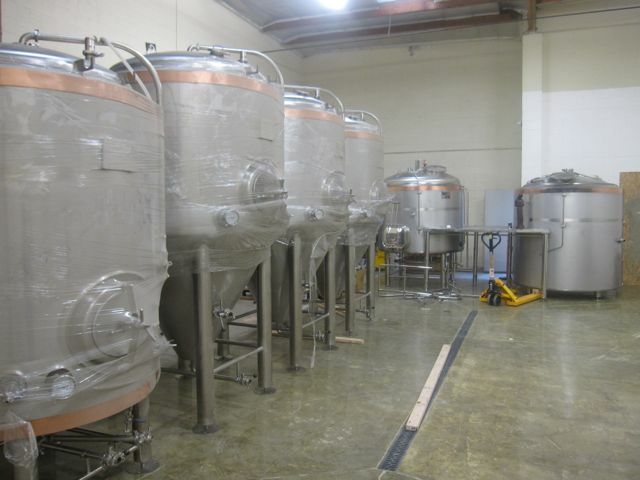 the warehouse full of tanks. that's the monkish forklift. 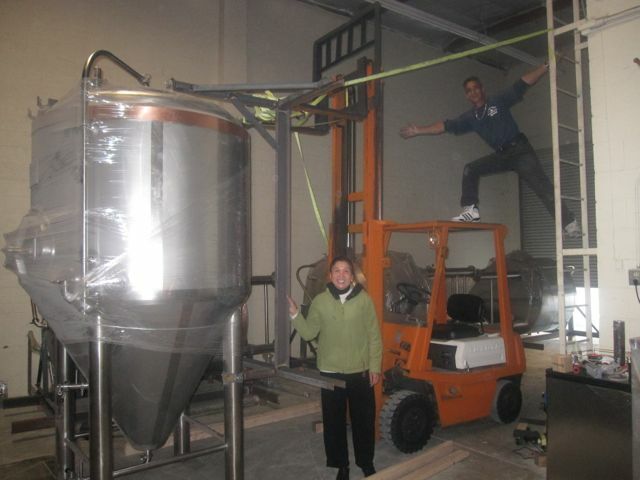 TIP: rather than hiring riggers, just ask your mother and father-in-law to help you stand the first tank. btw, our forklift had no brakes :) tanks mounted (wasnt that easy to do) and now moved in placed and anchored down. 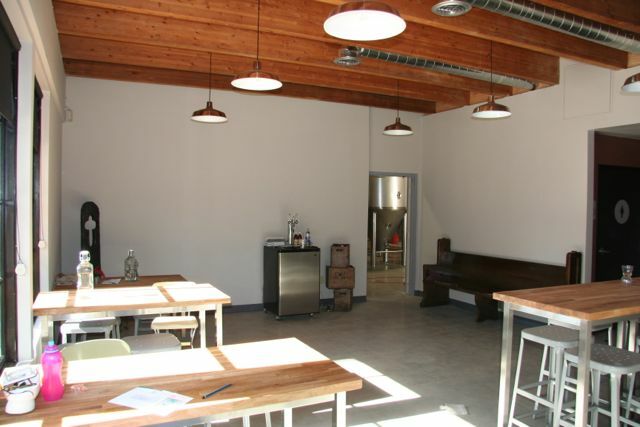 recent photo of the tasting room. air condition vents were installed this past weekend.